This year was one of the busiest I can ever remember in terms of client work and personal projects. In addition, there were plenty of smaller jobs and client requests throughout the year. 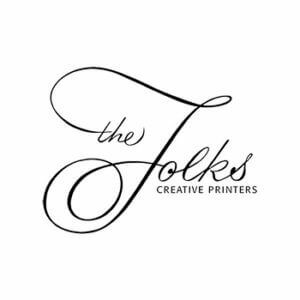 The Folks Creative Printers, Inc. have been a client of mine for a decade now. In that time I’ve built and supported a constantly growing intranet that powers almost every facet of their business: orders, invoicing, inventory and more. Rarely does a month go by in which we don’t tweak or add new features as the demands of their business dictate changes. This year’s biggest addition was an improved way for their customers to place orders. For the longest time, orders were placed via phone, email and sometimes even fax. This led to a constantly growing pile of paperwork, back-and-forth emails and frequent attempts to update customers on the status of their orders. The solution was a brand new customer portal, built from scratch, that gives the Folks’ buyers an easy to use system for submitting their orders. The orders are imported directly into the intranet where employees can immediately process the jobs and send them out for production. As the orders are completed and shipped their status changes are reflected in real-time on the portal for customers to see themselves without having to contact the Folks directly. Improving the ordering process was on my “to do” list for the Folks system for a long time and I’m glad we finally had the chance to do it this year. I hope to expand the portal to more of their customers in the coming months and apply some of its capabilities to not only purchasing customers but also to locations that receive the orders that are made by other buyers on the location’s behalf. There was one other large project at The Folks Creative Printers, Inc. this year: mobile inventory control. For many years now the Folks’ inventory has been stocked and tracked with a unique barcode solution using off-the-shelf serial barcode scanners. In an effort to speed up the scanning process and make it usable for more people a new system was made using basic USB/Bluetooth scanners that can be attached to any mobile device such as a smart phone or tablet. This new way of scanning inventory increases accuracy, cuts down on mistaken scans and speeds up the process of verifying and changing incorrect counts. 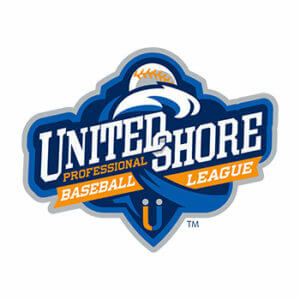 The USPBL is a four-team independent baseball league in Michigan. They approached me because of my long history doing web development work for sports franchises to help them build a new website. Their existing website was centered more on educating the public about the league and was not your typical sports site. The new design offers everything you would expect to find from a sports league’s official website: daily game recaps, in-depth team information, easy to browse statistics and a strong focus on promotions and ticket sales. The site is powered by WordPress and uses several custom WordPress plugins I wrote to help maintain the rosters, schedule, boxscores and player statistics. Fulfillment by Amazon (FBA) businesses are becoming an increasing popular way for people to earn an income online. One of my clients has worked in this industriy quite a bit and had an idea for a basic web application focused on providing people involved in Amazon FBA a better way to track their products and finances. I built a custom web application, meant to serve as a minimum viable product, to help him test out his idea and put it in front of some FBA business owners he knows. Building an minimum viable product (MVP) with a defined feature set is a great way to get the ball rolling on a software idea you have without committing to a long and costly development plan. Hensville, Toledo’s downtown entertainment area next to Fifth Third Field, has two restaurants that needed a simple reservation system. I built a frontend that lets customers enter in the date and time of their reservation as well as their personal contact information. This information is then forwarded to the restaurant staff. In addition to the front end, an admin area was made so that staff could review submissions and also define what dates and times the restaurant was open to take reservations. 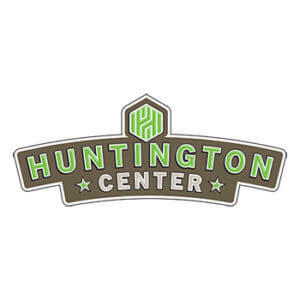 A service provider change required a total system rewrite for the Huntington Center’s legacy suite catering system. The old system, which was nearly 14 years old, had to be changed to support more modern server architecture than what was previously in use. This project was especially interesting because of the time constraints involved. The entire system had to be rewritten and moved to a new home on very short notice. In the end, the functionality and look of the rewritten suite catering system is identical to the old system but with an entirely new codebase. Supporting old codebases on out of date architecture is pretty common in this business and it’s nice to get opportunities to improve and rework older software. My WordPress plugin, WP Word Count, saw several updates released over the course of the year for both the free and Pro versions. 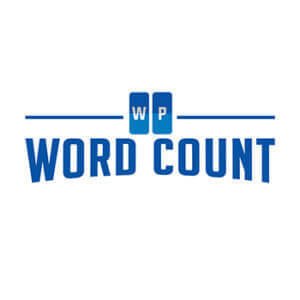 The largest improvement was a huge increase in the number of languages WP Word Count supports. The plugin now supports the following non-Latin languages: Cyrillic, Mandarin, Japanese, Korean, Hebrew, Armenian, Tamil, Greek and Arabic. The other big story is the growth I’ve seen with WP Word Count’s user base. At the start of the year, the free version was being used on over 3,000 WordPress sites. That number grew to 4,000 by June and just this month is has gone over 5,000 active installations. I have new releases planned for early in 2018 that should get me as close to feature complete as I’ve ever been with the plugin. My main goal after that is to continue to drive active installs and improve my marketing efforts to increase awareness. I became very interested in WordPress plugin development as work on WP Word Count progressed throughout the year. I was shamelessly inspired by sites like Indie Hackers so in June I decided to start my own interview-style website about WordPress plugins called The Plugin Economy. The interviews are mainly focused on the trials and tribulations of plugin development from both a technical and sales standpoint. I’m mostly interested in educating myself, to be perfectly honest, but reaction to the site from other plugin developers has been very positive and it seems like a lot of people are finding useful information on the site as it continues to grow. My goal has been to interview one plugin developer per week but I haven’t always been able to keep that pace going. In the end, I finished 2017 with 24 interviews and several developer-focused articles. My last big project for the year was a “scratch your own itch” type of application I call Podlater. I listen to a crazy amount of podcasts, mostly while driving, and I’m always finding single shows I want to listen to while browsing the web. The problem is I find the process of subscribing and unsubscribing from a podcast just to listen to one episode I’m interested in to be cumbersome. Enter Podlater. 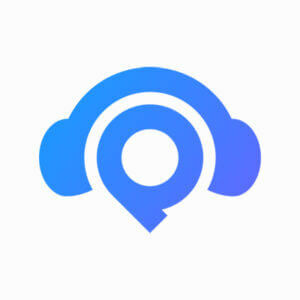 You make a free account and are given access to your very own personal podcast feed. You subscribe to your feed in the podcast player of your choice and then add episodes to the feed with an easy to use bookmarklet you install in your web browser. Now you can listen to any podcast episode you want without having to subscribe to the entire series in your player. I pitch this to people as “Pocket for podcasts.” My plan is to continue to improve the bookmarklet and begin to market Podlater next year. That’s a pretty good breakdown of the big things I worked on this year. There are already a few client projects underway that will be finished early next year. I’ll be writing more about those as they are completed. I want to also focus on more of my own software ideas in 2018 in addition to continuing to market and grow WP Word Count and Podlater. I have had a product idea for podcasters on my mind for a few months and if a gap in my schedule develops I would like to begin working on that.